Naturally beautiful (and affordable! 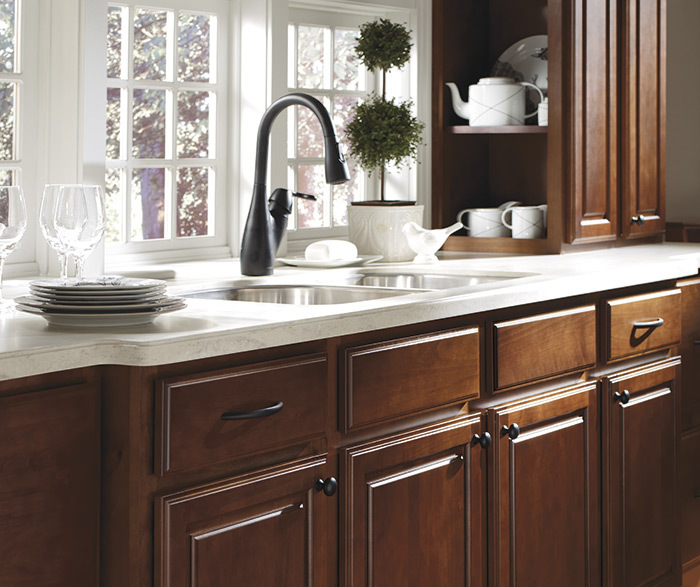 ), Alder lends an informal, inviting feel to Braddock's traditional styling. 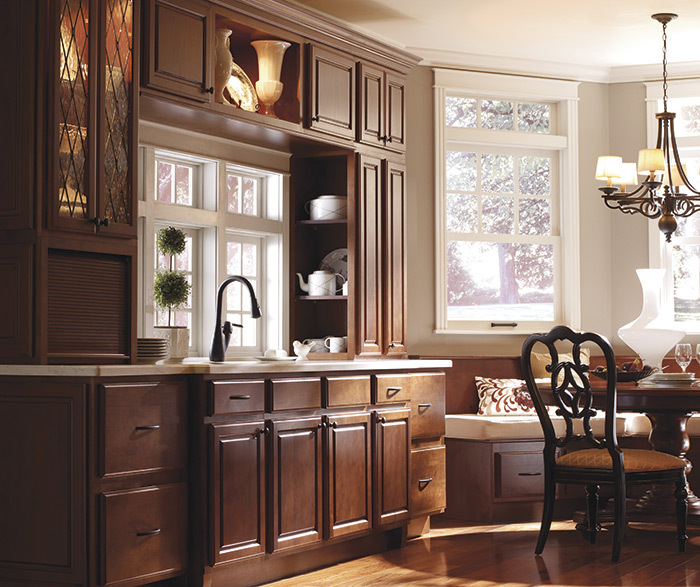 Solid, raised-panel doors pain with simple slab drawers for a pared-down classic look.